A fascinating three-dimensional presentation provides the reader with an in-depth, hands-on exploration of an awe-inspiring T. rex. In Explore a T. Rex, a fascinating three-dimensional presentation allows in-depth, hands-on exploration of the most fearsome dinosaur that ever prowled the earth. This unique “model” can be deconstructed and rebuilt layer by layer, system by system, just by turning the page, so the reader can see how each part of the T. rex’s body is connected to the others. 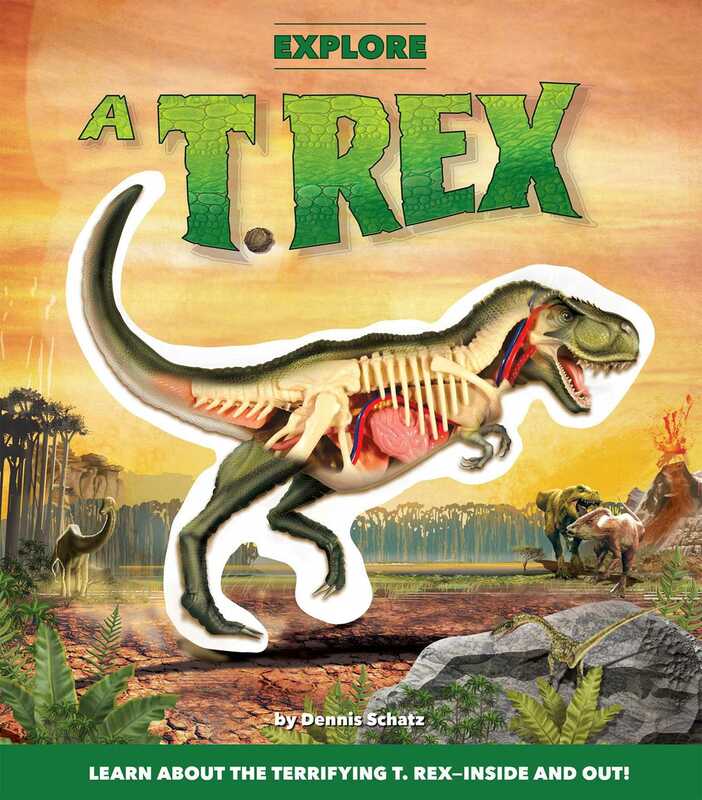 By combining a 3-D model with informative text and pictures, Explore a T. Rex helps children understand how dinosaurs of all shapes and sizes ruled the prehistoric world for millions of years. Dennis Schatz is the Vice President of Strategic Development at the Pacific Science Center in Seattle, Washington. He has authored many children's books and curriculum resources for teachers and is known internationally for developing innovative children’s activities.